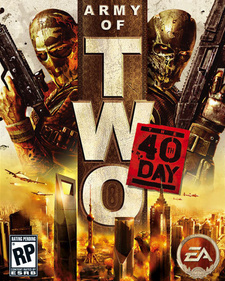 EA‘s upcoming sequel to the smash game Army of Two, dubbed Army of Two: The 40th Day, takes place a few years after the original. Main characters Tyson Rios and Elliot Salem are mercenaries leading the company TransWorld Operations (TWO), and when a competing force starts reaking havoc in the city, it’s up to Rios and Salem to stop them the only way they know how: with huge, awesome-looking, customizable guns. 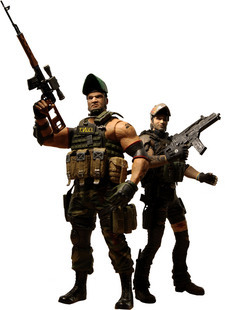 To celebrate Army of Two: The 40th Day‘s upcoming January release, NECA is now taking preorders for our first Army of Two figures — Tyson Rios and Elliot Salem! Each of these highly detailed and poseable figures is armed to the teeth with an assault rifle, a sniper rifle and a pistol. No worries if it’s too much to carry since the weapons attach to the figures’ back. Also included are the individual masks that Rios and Salem wear in the game — pivoting up and down to give them a better look at the action. Tyson Rios and Elliot Salem are available for preorder now and will also be available at our Amazon storefront . 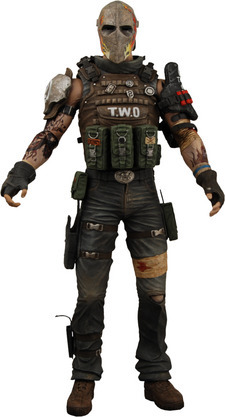 Keep it tuned to necaonline.com for more info on Army of Two and other lines from your favorite games and movies.